I have a confession to make. 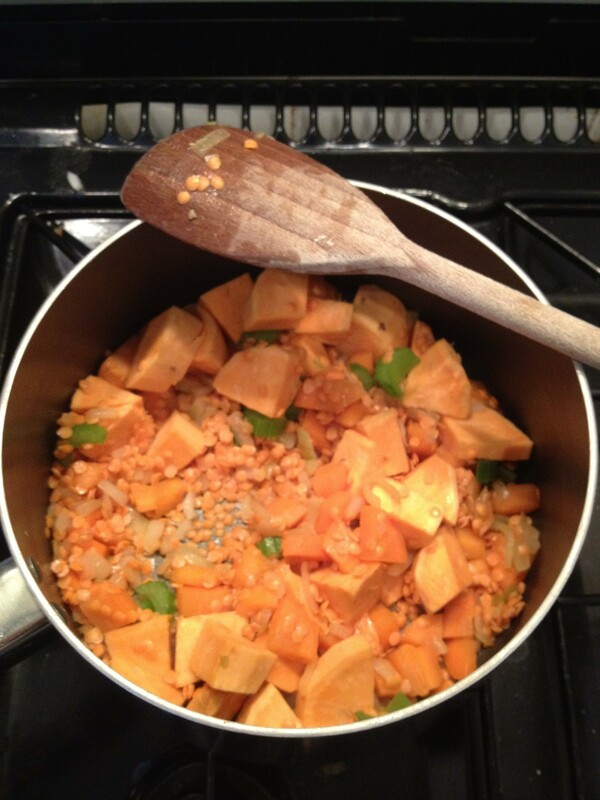 I don’t…really…cook for the wee man. I mean, I make him scrambled eggs and spaghetti hoops on toast and fish fingers and stuff, but I don’t cook meals from scratch. At all. Some of my mummy friends put me to shame with tales of Sundays spent cooking up a storm and portioning into freezer bags ready for the week. I don’t do that. I used to cook and puree sweet potato and carrot and stuff, but when it got to the proper meals stage I just… stopped. I didn’t have time. I don’t have time. I’m running a business and raising a child and hoping my husband gets home from work before 7pm and doesn’t have too many nights away this week – so really Ella’s Kitchen pouches and Hipp Organic jars have been my saviour. Last night, while ordering the online shop, I pulled out the Annabel Karmel book (the one I hid cos it was making me feel inadequate) and diligently added all the ingredients to my list. I even learned a new word: Passata. Yes I know you’ve probably heard of it. My smart-arse sister scoffed and informed me mum has two jars in the cupboard at all times. Well, I’ve made it almost to my 30th birthday without knowing what it was. Now I’m thinking, hmmm, I should have two jars in the cupboard at all times. 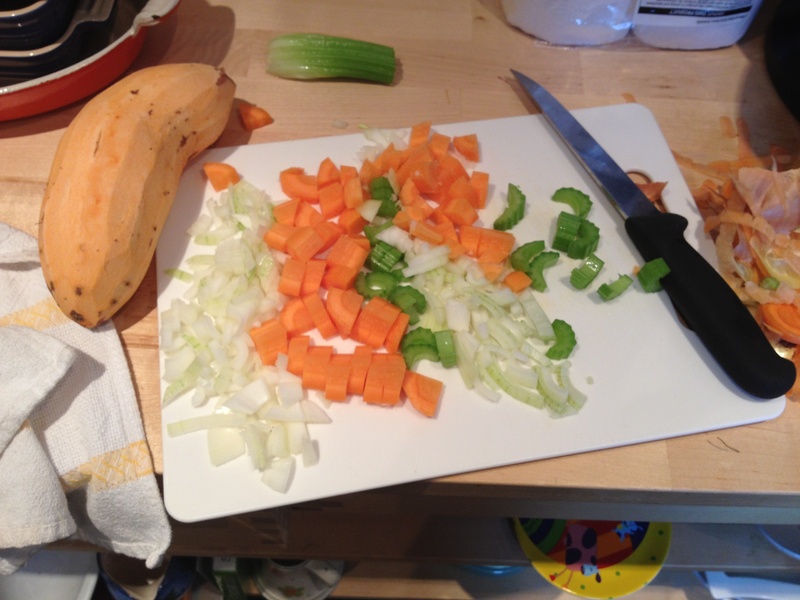 My husband is on jury service this week (a huge inconvenience for him but a boon for me, as he’s home at 5pm) so I took advantage of the unexpected childcare to do some chopping. It looked kind of small there on the board, so I decided to double up all the ingredients. If I was going to portion and freeze I might as well make a whole load. Of course I then forgot I was doubling up and panicked when I found half a sweet potato hiding behind the coffee machine. But I figured, hell, it’s getting pureed at the end anyway, I’ll just fling it in. I even washed lentils, something else I’ve never done as I’ve always been scared off by their after-effects. Thirty minutes later, with Rod sniffing appreciatively and asking when dinner would be ready (eh, in like an hour) I lifted the lid and saw orange. Why is all baby food orange? It’s a bugger to get off their faces and out of their clothes. 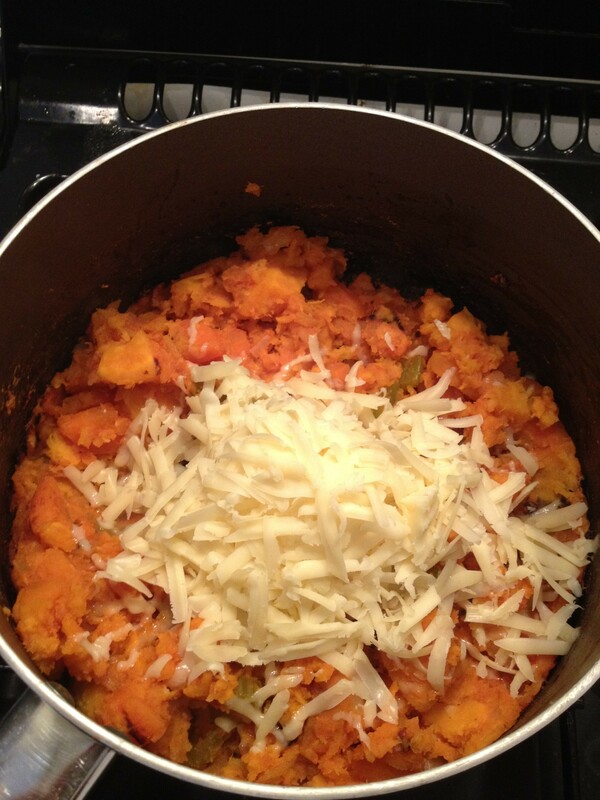 A wee bit was stuck to the bottom – in my head I used the puree excuse again – grated in twice as much cheese and blended. I tasted some of the burnt bits and they were gooooood! I think the wee man’s going to enjoy his lunch and dinner for the next week.